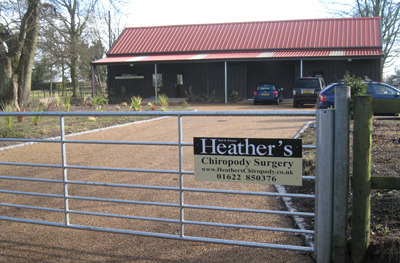 Heather’s Chiropody Surgery provides a wide range of professional chiropody treatments. All from first class facilities in a peaceful country setting at Lenham Heath. Fungal and general foot problems.